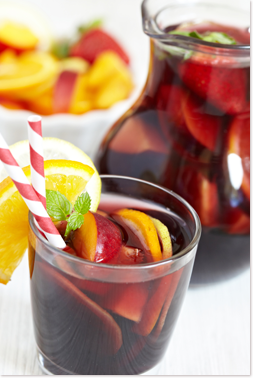 In a large pitcher, combine Champagne, juice, brandy, and fruit. Pour into wine glasses. Garnish with fresh basil sprigs.